Startup automaker Elio Motors put on its first-ever car-show press conference last week, taking the last slot on Thursday's media schedule at the New York Auto Show. Founder and CEO Paul Elio appeared at a simple podium in front of a bright-orange prototype Elio three-wheeled vehicle. He spoke briefly, then answered questions from the press. There was none of the dramatic music, special lighting effects, and other showmanship used by the major manufacturers. 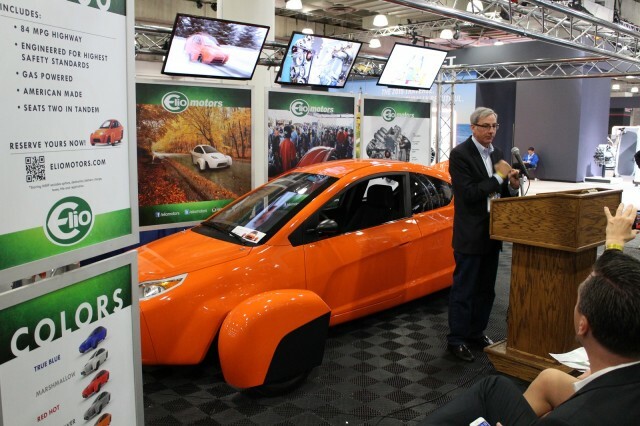 Elio's small booth was somewhat obscured by the trucks, commercial vehicles, and car-customizer displays occupying the basement level of the Jacob Javits Convention Center. Still, a few dozen reporters showed up to hear what Elio had to say about his company and his car. He started with a discussion of the deposits the company had taken. It got 5,000 in the first year after it announced its plans to produce the three-wheeled economy car, he said. But Year Two produced another 33,000 deposits. And as of the end of March, Elio said the company had taken more than 41,000 deposits. He said later that he believes "we have a shot at" going as high as 250,000 reservations before Elio starts production--which means it would have its entire first-year production capacity pre-sold. 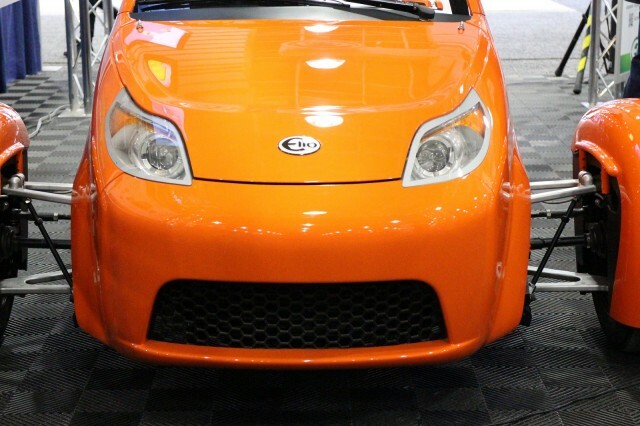 Elio Motors has applied for a low-interest loan from the Department of Energy's Advanced Technology Vehicle Manufacturing program. That's the same program that gave loans to Fisker Automotive, Ford, Nissan, and Tesla Motors in 2009. Fisker defaulted, costing the Energy Department more than $100 million; Tesla repaid its loan in full several years early; and Ford and Nissan are paying down their loans on schedule. 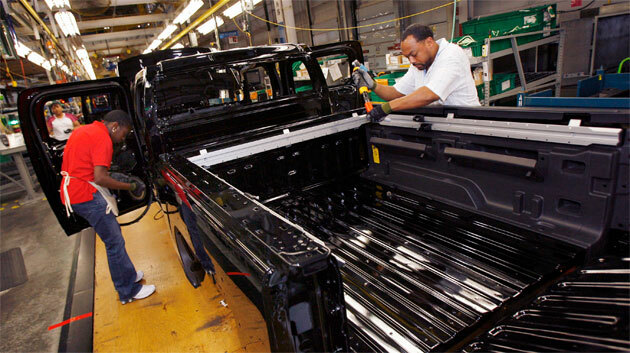 But while the department recently said it hoped to relaunch the program, it hinted that loans would go only to auto-industry suppliers--not to automakers themselves. An application from the huge global aluminum company Alcoa has been accepted for review, and that company is thought to be a likely recipient of the first loan since 2010. Asked if Elio Motors needed the ATVM loan to move forward with production of the car, CEO Elio said simply, "Yes." He quickly added that the company had "three or four separate plans to finance" its plans to put the three-wheeler into production. The ATVM loan, he suggested, is at the top of that list. The company also has "one very wealthy backer," he added. And it has "democratized the capitalization" of the company via the Jumpstart Our Business Startups (JOBS) Act passed in 2012. That act offers a mechanism for accredited investors to purchase securities or other equity in startup companies. Such investments were previously restricted to accredited investors who met certain levels of income or personal net worth. 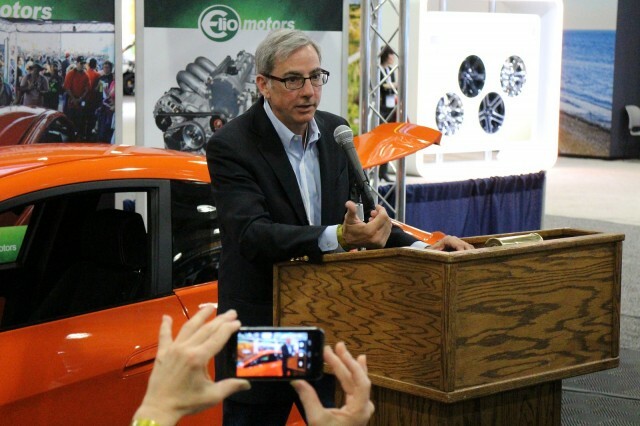 Elio Motors has engaged Network One to reach out to brokers to market those investments, he said. Indeed, last month it sent out a press release noting, "Interested and eligible investors can buy into Elio for as little as $15,000." To begin manufacturing in its 4-million-square-foot former General Motors plant in Shreveport, Louisiana, Elio needs roughly $230 million, Elio has said. As of this past January, the company had raised only $65 million--which pushed the production starting date well into 2016 from the original target of late this year. While local authorities provided Elio with substantial incentives for the jobs it's expected to create, the state of Louisiana declined to invest. Questions at the New York Auto Show press conference then turned from matters of financing to the specifications and technologies of the car itself. 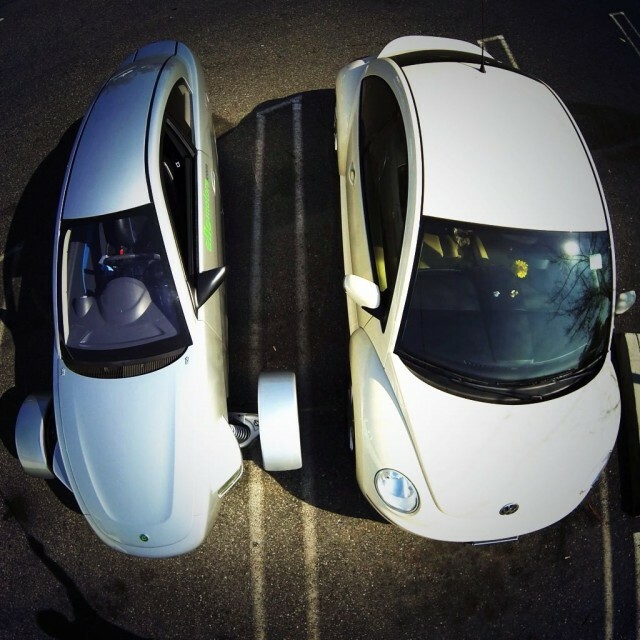 The Elio is to have a pair of seats in tandem, which reduces not only its weight but also its frontal area--both contributing to its fuel efficiency. 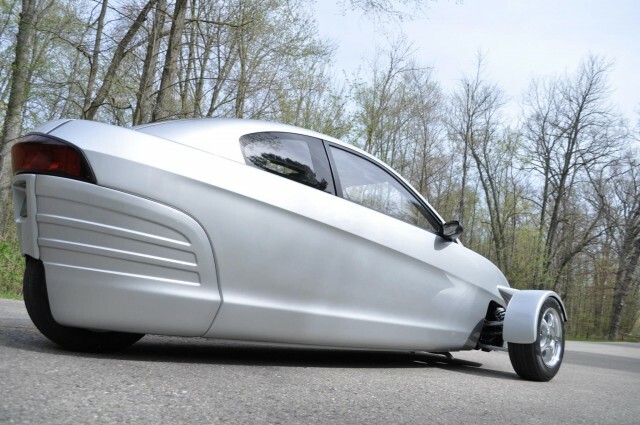 The prototype vehicle weighs 1228 pounds, Elio said. And Elio Motors will be the first startup automaker in decades to design and manufacture its own, purpose-built engine in more than half a century, said the CEO. The first prototype of that 0.9-liter, three-cylinder engine was unveiled in March. The engine is rated at 55 horsepower, will produce 55 lb-ft of torque, Elio said, and runs on 87-octane regular gasoline. 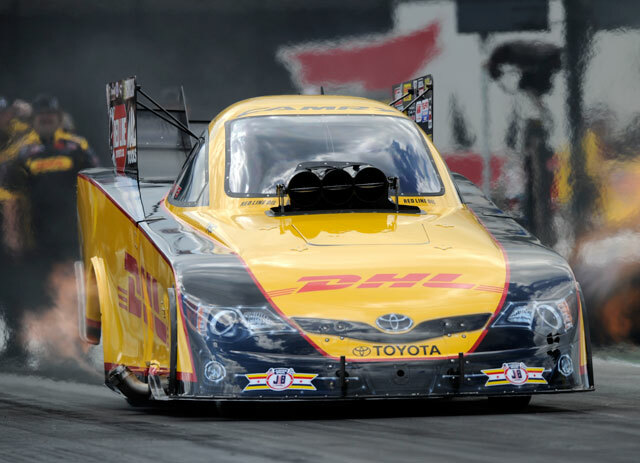 It will accelerate from 0 to 60 miles per hour in 9.6 seconds, he said (about the same as slightly slower than today's Toyota Prius), and have a top speed of more than 100 mph. The car's wheelbase measures 110 inches, and its front track is 67 inches--comparable to "a full-size vehicle cut in half," he suggested. 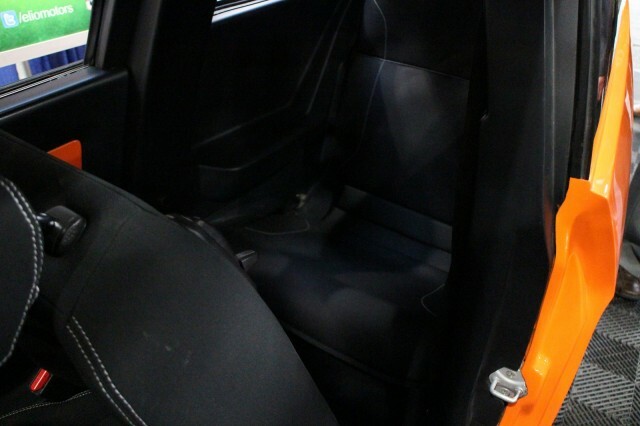 It will come standard with power windows and door locks, air conditioning, and an audio system, Elio said. While he said recently that he "hopes" the $6,800 base price can be maintained, Elio expects many buyers to customize their cars before taking delivery. The strip-mall stores that it plans to operate--"one car inside, two outside"-- will have options hanging on their walls from which customers can choose. Cars will be staged from "seven to ten marshaling centers" located throughout the U.S., no more than nine hours from every retail location for Elio sales. Once stores close at 9 pm, they will transmit the day's orders to those centers and workers will fit them onto cars in stock, put the cars onto transporters, and dispatch them overnight. That means, Elio said, that customers can order a car one day and pick it up the next. Elio vehicles will be serviced by Pep Boys locations around the country, Elio said. He called the auto-center chain "the biggest player in a shrinking industry," and estimated that after four years of Elio sales, the chain would have increased its base of customer visits by 15 percent. As for safety, Elio noted that while the car is defined as a motorcycle under Federal and state laws, the company is working with the American Association of Motor Vehicle Administrators to get a new vehicle category approved. That would be an "autocycle," or fully enclosed motorcycle--which would eliminate the need for Elio drivers to wear helmets inside the car. The weight of a helmet actually poses a danger to enclosed drivers in some kinds of accident, he noted. Elio is working with the National Highway Traffic Safety Administration (NHTSA), he said, to figure out how certain tests like the small-overlap front crash should be set up and measured for a narrow car with widely spaced front wheels in outriggers. "We have to overperform on safety," he said, noting that the car has to earn "over-the-top" safety-test results. Asked if Elio would face the same opposition from auto dealers that Tesla Motors has for its own company-operated stores, Elio shook his head. 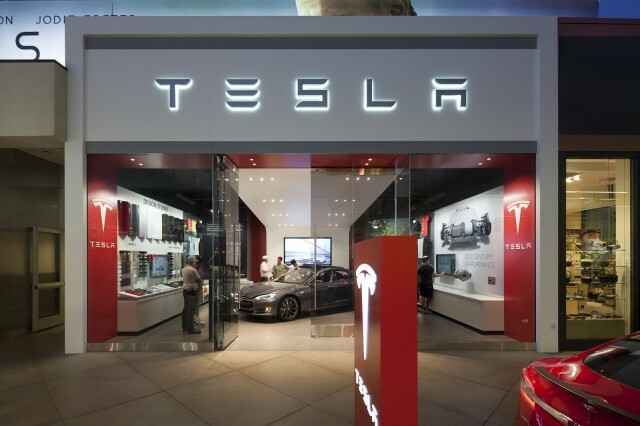 "Politically, we play better than Tesla," he said, noting that stores selling a motorcycle at a $6,800 price--one intended to let "poor people" drive an economical new car--would be much harder for auto dealers to oppose than a luxury sport sedan purchased by rich people. After a few more comments, the press conference ended. Reporters lined up to sit in the car and take photos, then gradually drifted off as Elio answered a few last one-on-one questions.